6 per order, Sweet chili sauce. choice of chicken, pork, shrimp, or veggie. 6 per order, served with soy sauce. Rare steak. Served with an herb plate which includes beansprouts, basil, cilantro, lime and jalapeno. Steak and bisket. Served with an herb plate which includes beansprouts, basil, cilantro, lime and jalapeno. Chicken. Served with an herb plate which includes beansprouts, basil, cilantro, lime and jalapeno. A delicious, traditional, unique Vietnamese restaurant in Colorado Springs. This was my very first GrubHub experience and I have to say I’m really pleasantly surprised and overly satisfied! Ordering was easy, driver was on time (earlier than I expected even) food was hot, fresh and delicious (except the banana egg roll, however I can see why it’d be hard to travel well and stay crisp, the flavor was awesome) we spent the amount we’d spend going out, with staying in comfy slippers, having cocktails and not worrying about driving. Pho Brothers did not disappoint and our delivery man was prompt! This restaurant had the best GrubHub service I've seen yet! The order was correct, which is a problem I run into with many restaurants. The food was amazing. They even packaged the food so neatly. So many restaurants just jam the food in the packaging and it seems so badly cooked too, they know they can get away with doing it messily so they do. This restaurant did none of these things and went above and beyond! Five stars! Great food, delivered right at the estimated time. Shrimp summer rolls were awesome, the peanut sauce was a tad weak, but still did the job. Combination bun was great. Pho was delivered with raw steak ready to be cooked by hot broth, and all the herbs were fresh. Will definitely order from here again. I love PHO Brothers! 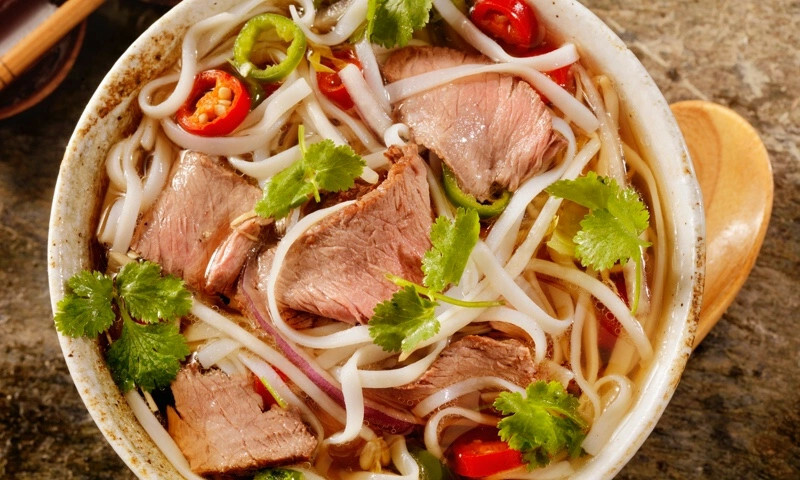 Their pho is always fresh, flavorful and a great price. The side dishes can't be ignored either. We usually get Springs rolls and a salad, but tonight we got curry as well and we loved it. The restaurant doesn't look like much, but the service is fast and the food great. These guys are excellent! We've only had pho, but it was tasty with good broth and fresh ingredients. Delivery is always prompt and courteous, they once called to double check if the order was correct and got it right every time. Prices are very fair. Highly recommend! I always get wonderful food and excellent service at Pho Brothers. this is truly a good authentic place where you can get some amazing food. We believe in the importance of quality food and service and we strive to win your palate and preference over. Whether you're craving a quick bite or looking to treat yourself to a delicious meal, you can now order your Pho Brothers favorites for takeout or delivery.